Eine Musikkomposition von Arvin Hosseini Kamal „A Serenade for Existence“, eigens komponiert für das MOVE#-Projekt und eingespielt im ORi, präsentiert am Sa., den 17.02. um 20 Uhr. Einlass ab 19 Uhr. Der Eintritt zu der Veranstaltung ist frei. Um Spenden für die Musiker*innen wird gebeten. Mit freundlicher Unterstützung des Edinburgh College of Arts. Der Konzertabend ist eine Veranstaltung im Rahmen des Kultur- und Ausstellungsprojekts MOVE – Eine Gruppenausstellung mit Künstler*innen aus Iran und der iranischen Diaspora als interdisziplinärer Dialog der Kunst und Kultur. Ein Kultur- und Ausstellungsprojekt des ORi Berlin in Kooperation mit Studio Tehran94 vom 19.01.-28.02.2018. 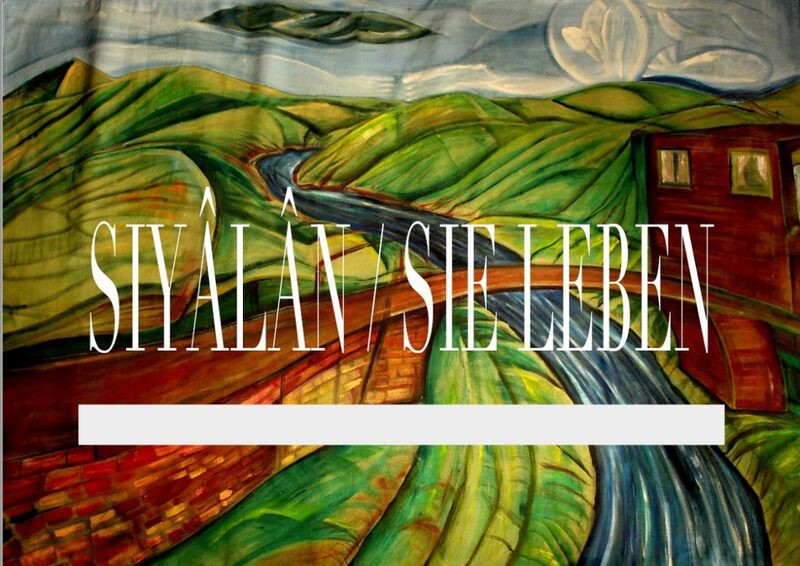 ‘Siyâlân | Sie Leben’ composed by Arvin Hosseini Kamal for MOVE #RegardingIran project will be performed on Saturday 17th February 2018 at ORi Berlin. Doors open 7pm. The entrance is free but we invite you for donations for the musicians. With friendly support of Edinburgh College of Arts. A cultural and exhibition project of the ORi Berlin in cooperation with Studio Tehran94. Arvin Hosseini Kamal is a professional emerging composer and painter, who uniquely combines inimitable music with stimulating visual elements; engaging different forms of art to create pieces which reimagines an experience of the old times cave art in a contemporary setting. Currently studying as a Ph.D. researcher, Arvin is also an in-house composer at the Edinburgh College of Arts, working in collaboration with Professor Peter Nelson. Currently, Arvin is creating a musical novel called as „Música Músicalia“, based on the stories of „Scheherazade and Tales of 1001 nights“. This epic engages 1000 pieces, including solo Partitas for instruments that selected from across the globe, ensemble pieces for varied forces, orchestral instruments, along with longer tales for chamber and symphonic orchestras. As a mirror to these, Arvin is also developing „Musica“, in response to Scheherazade, and it is formed based on the Solar system with an orchestra assigned to each planet and orchestrated to represent the forming substances of the planets. His music extends a polyphonic structure, with instruments acting individually as the branches of a tree or threads of a woven Persian carpet. The aim of Arvin’s music is to provide a sound with a neutral harmony and a mutual sound, to appeal to diverse cultures across the globe, by seeing each as the ornamentations around the same inner beauty. Evelyn Saylor is a composer and performer from New York City and living in Berlin. She writes electronic music for the concert, for the theater and for modern dance. She is also a vocalist and pianist and works with synthesizers and other electronics. In addition to performing her own music, as a vocalist she performs contemporary music, Early music and American Shape Note music, and sings with the artists Holly Herndon, Dear Reader, and Caterina Barbieri. She regularly works with the choreographer Ruben Reniers as a composer and is the recipient of the Mellon Elemental Arts Award. She has performed her compositions in the Tischlerei of the Deutsche Oper, the Akademie der Künste, the Universität der Künste, Dock 11, and other spaces in Berlin, and has received performances in New York; Cambridge, MA; California; Cologne; Frankfurt; Budapest; Torino; and Gdańsk, Poland. She received her BA in composition at Pomona College in southern California and her Master’s in electronic music composition at the Universität der Künste Berlin. Sara Amini born in April 1982 in Ramsar/Iran. She studied BA in Theatre directing at Tehran University and MA of Performance Making at Goldsmith College, University of London. Also she has a diploma in acting from Polish Theatre company “ Song Of The Goat”. Sara treined as a clasical singer from a very young age and later in her career she has treaind in jazz and folk music. She is very intrested in blending music and performance arts together. She is the artistic director of Seemia Theatre company based in London. 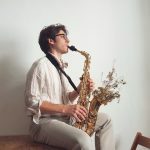 Nicolò’s musical journey doesn’t pass through any formal schooling, but rather follows his personal story, and is related to the musicians he has met, his geographical movements, and his daily dedication to the instruments since the very beginning. The clarinet came first, and two years later he added the alto saxophone. In Bologna he learned the foundations of jazz from Andrea Ferrario. Additionally, during a workshop in Liguria’s hinterland he got to know the virtuoso clarinettist Gabriele Mirabassi, who would become one of the greatest inspirations in his musical itinerary. The city of Porto represents another important place on the path of his musical development. There he had the opportunity to learn from great musicians including the double bassist and composer Pedro Barreiros and the Colombian saxophonist Agustin Castro. Now Nicolò is continuing his musical studies as autodidact and developing his composition. He teach Clarinet, Saxophone, Piano and recorder in the music School “Make Music” in Neuenhagen bei Berlin. Between other collaboration, he’s working with the SINAI Orchestral Theatre. Cellistin, Sängerin und Komponistin aus Berlin wurde 1989 in Lublin, im Osten Polens geboren. Mit 7 Jahren entdeckte sie das Cello und erhielt ihren ersten Unterricht an der Musikschule in Lublin. Im Zeitraum von 2006 bis 2007 war sie Stipendiatin der polnischen Stiftung Narodowy Fundusz na Rzecz Dzieci für Hochbegabte. Zeitgleich erhielt sie zweimal das Künstlerstipendium des polnischen Kulturministeriums. Nach Ihrem Abitur im Jahr 2008 führte sie ein Stipendium des Mount Royal Conservatory nach Calgary – Kanada, wo sie von John Kadz unterrichtet wurde. Schon früh war Julia Biłat Preisträgerin bei solo- und Kammermusik-Wettbewerben. Im Jahr 2007 erhielt sie mit ihrem Klavier Trio, den ersten Preis „ex equo“ im XXXI Nationalen Kammermusik Wetbewerb in Breslau, Polen. Ein Jahr später, gewann sie mit ihrem Klavier Quartett den ersten Preis bei der Chamber Music Competition in Calgary. 2009 begann sie ihr Studium an der Fryderyk Chopin Universität für Musik in Warschau bei Professor Andrzej Bauer. Sie war Teilnehmerin diverser internationaler Meisterkurse, unter anderen bei Laurence Lesser (Boston, US), Ron Leonard (LA, US), Alexander Gebert (DE) und Kazimierz Michalik (PL). 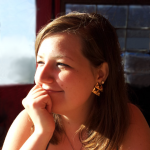 Im Jahr 2012 beendete Julia Biłat ihr Studium in Warschau und verlegte ihren Lebensmittelpunkt nach Israel, wo sie an verschiedenen internationalen Musikprojekten mitwirkte, deren musikalischer Schwerpunkt auf Improvisation, Jazz und Weltmusik lag. 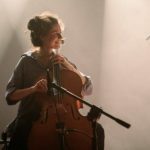 Seit 2013 hat sich Julia Biłat als aktive Musikerin, Cellistin und Improvisateurin in Berlin einen Namen gemacht. Sie ist auch an Projekten in einer Jazzszene mit bekannten Musikern wie Greg Cohen und Leon Parker beteiligt. 2017 veröffentlichte sie zusammen mit dem israelischen Pianisten Daniel Schwarzwald ihr Debut Album „BiWald“. 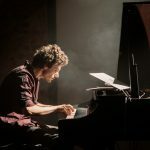 Daniel Schwarzwald – ist Pianist und Komponist aus Jerusalem, Israel. Er hat mit Topmusikern in Israel wie Eli Degibri, Anat Cohen und Ziv Ravitz performed. Als Mitglied im Ehud Ethun Trios hat er auf vielen Jazzfestivals und in vielen Clubs dieser Welt gespielt. (Jazz festival Bansko-Bulgaria, Jazz in Seoul-South Corea, Lilypad-Boston, Esse Jazz Club Moscow, Alexander Platz Rome). Als Komponist und Pianist ist er in Berlin sehr aktiv in verschiedensten Projekten. Er komponiert für Tango, Jazzensembles und Sänger, kreiert Filmmusik.